Many drivers don’t know what to expect when they reach a DUI checkpoint and it often causes them to approach the officers in a wary manner. It is important to understand your rights when it comes to facing potential interactions with police officers. Columbus, Ohio DUI traffic stops are often set up around major events or holidays to catch those drinking and driving. Before you are out on the roads, you should have an understanding of your rights and what is to be expected when you reach a checkpoint. DUI checkpoints are in place to catch drunk drivers, but often times others are detained because they are unaware of the many rights afforded to them by the Constitution and governing state laws. Many drivers feel agitated and display body language that may indicate fear when interacting with an officer. Once drivers understand what to expect at a traffic stop, many are less likely to provide the officer with any reasonable suspicion to extend the stop. A typical DUI checkpoint will be on a well-traveled road and clearly marked. Many times the officers will share with different news outlets the locations of DUI checkpoints and it will be public knowledge where they will be. If you intend to travel on these roads, it is best to know what to expect. You will see a sign alerting you to the DUI checkpoint ahead and orange cones and officers directing cars to a checkpoint. You may need to wait in line and allow other cars to be stopped ahead of you. Be patient, if you are agitated in any way the officers may have a heightened suspicion and may ask you additional questions. First and foremost, an officer will likely not remind you of your rights. You have Constitutionally protected rights, including no unlawful searches and seizures and the right to refrain from incriminating yourself. The courts have ruled on both issues and the benefit of catching drunk drivers at DUI checkpoints outweighs the short stop that drivers must face. 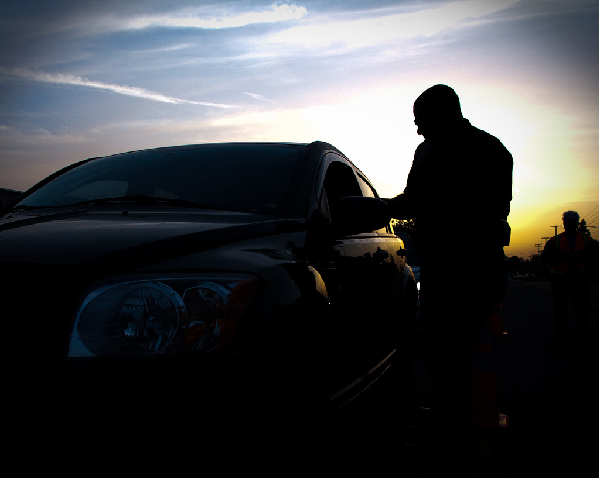 DUI checkpoints in Columbus, Ohio have also led to felony arrests and other citations issued. While the main focus is on drunk driving, it is still a traffic stop where officers can enforce other laws as well. The officer will approach your car and ask you a few questions. Have your window down and be ready to be respectful and answer questions regarding identification, insurance, and other questions regarding your license and registration. The only questions you MUST answer are questions in regards to identification, insurance, and registration of the vehicle. You are required to provide this information, as with any routine traffic stop. Should the officer ask any other questions, as harmless as they may seem, by law you are not required to answer them. If you are unsure as to what types of license and identification questions you should answer, contact a DUI lawyer in Columbus, Ohio. A trained attorney can tell you what types of identification questions you should answer. Officers ask questions such as, “Where are you coming from?” and, “Any fun plans tonight?” to try and gather more information about you and your behavior. If the officer feels that he or she has gathered enough information to show you may have been drinking or committed a separate traffic violation, they will ask you to pull your vehicle over to a secondary stop location. Answering questions may seem harmless but can land you in trouble. DUI attorneys recommend not answering any questions regarding where you are going, where you have been, or how many drinks you have had. Many attorneys recommend that you refuse to answer any questions about where you were, and refuse to provide the officer with any additional information that the officer may use to show you have been drinking. If you are asked to move out of line and go to a secondary stop you will be asked additional questions. Officers are asking these questions to gather reasonable suspicion to further investigate charging you with a DUI. If the officer suspects you have been drinking and diving, he or she may ask you to step out of your car and administer a field sobriety test. The tests include eye tests or HGN, the walk and turn test, and the one leg stand test. Each test is used to help the officer gather evidence against you to support his or her reasoning for your arrest. You are not required to participate in these tests, nor are you required to use the Portable Breathalyzer Test that they administer during the stops. It is important to remember that any questions asked by officers that do not relate to your identification, insurance, or vehicle registration are not required. Officers cannot arrest you for refusing to answer their questions about where you were going, or refusing to blow into a Portable Breathalyzer Test machine. Additionally, that information cannot be used against you in court to show your guilt. Working with a DUI attorney in Columbus, Ohio can help you prepare a strong defense to any charges brought as a result of a DUI checkpoint arrest. Did you recently pass through a DUI checkpoint and feel that you were wrongfully detained and issued a ticket? Call a DUI/OVI attorney in Columbus, Ohio to effectively advocate for you and potentially have your charges reduced or dismissed. The Maher Law Firm advocates for our clients and will prepare a strong defense to any DUI charges or other arrests that occurred as the result of a DUI checkpoint stop. For a free phone consultation with a skilled DUI/OVI attorney, contact The Maher Law Firm today by calling 614-205-2208.